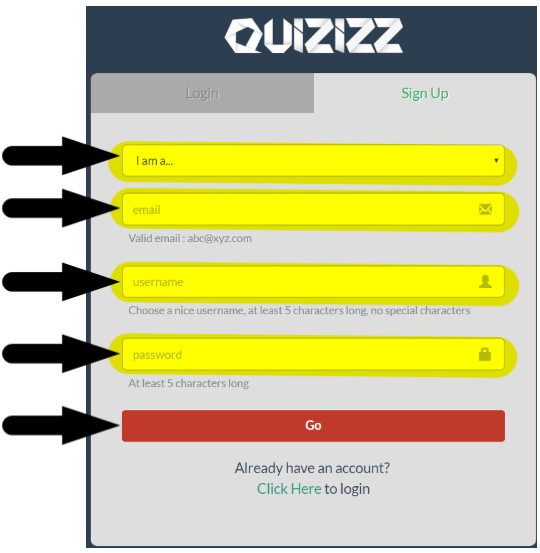 You need to register to create your own games/quizes in Quizizz. Open up a web browser (i.e., Internet Explorer, Google Chrome, Firefox or Safari) on any electronic device. 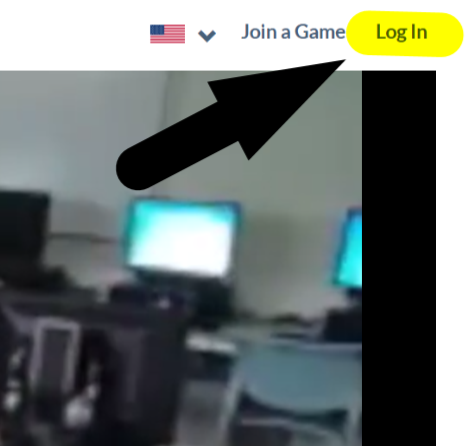 In the top-right corner, select "Log in"
Click on: "Click Here" to sign up. 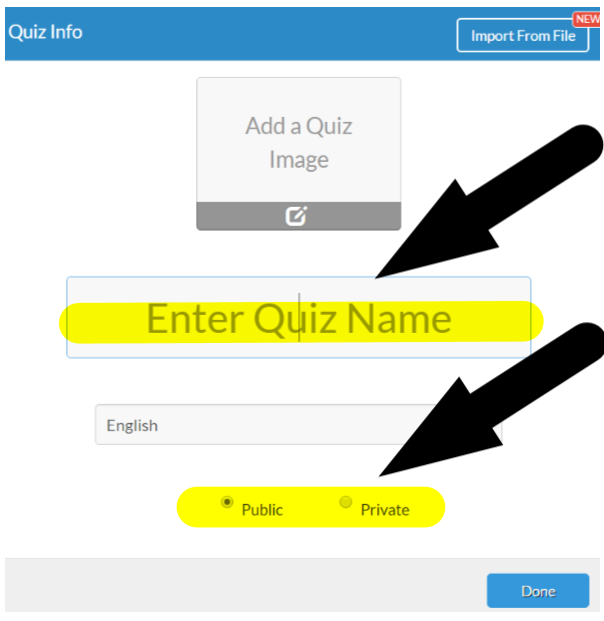 In the top-right corner, select "Create your own quiz"
Give your quiz a name. Choose between making your quiz public or private. This is where you enter your questions. You can add up to 4 options, a question image, and set the time for the question. When creating a question on the left-side of the screen, you can see a preview of the question on the right-side of the screen. 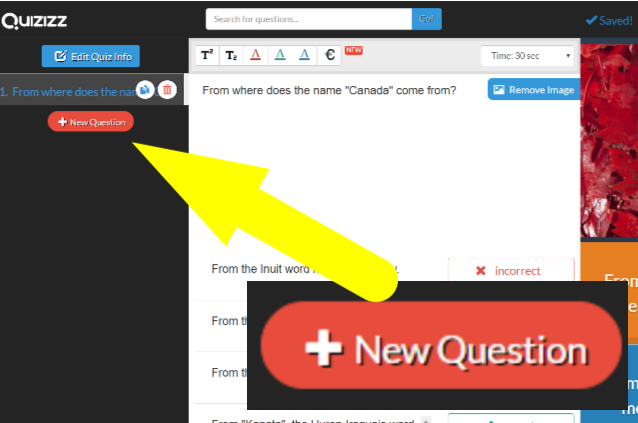 Click "New Question" to create a new blank question. Note: Quizizz auto-saves your work. 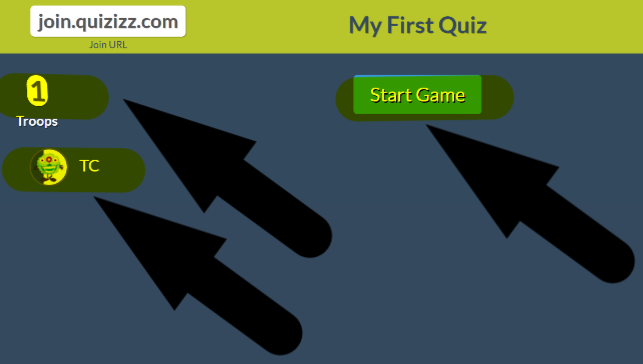 ​​Click Finish when you're done adding quesions to complete the quiz. 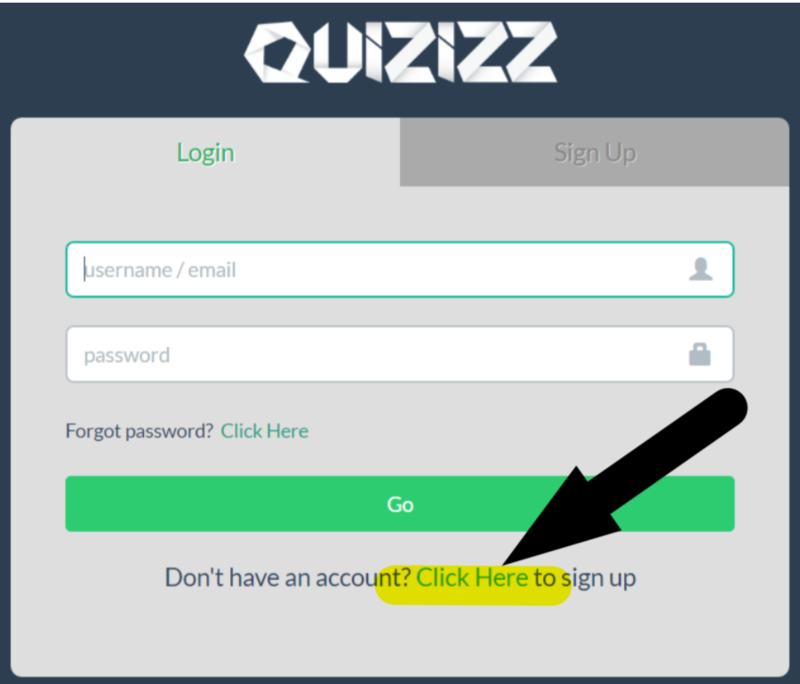 ​You have the option to play the quiz live or to assign it for homework. 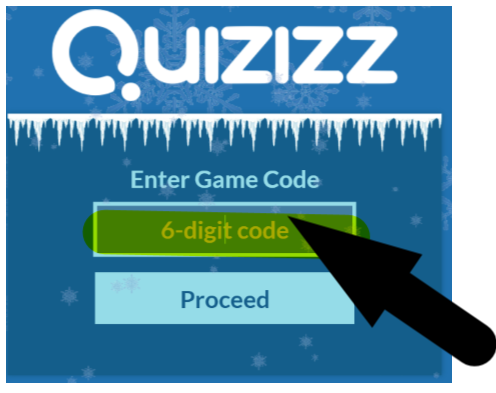 Login to Quizizz and in the top-left corder click on "My Quizizz". Select the quiz you desire to play. 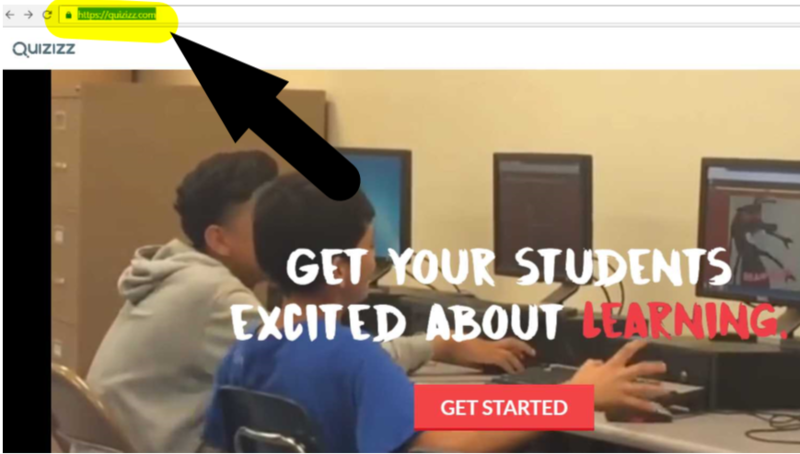 ​Direct your students to: "join.quizizz.com"
The host screen in the top-left corner, will display how many participants are ready to play (refered to as Troops). Each participant will be assigned an avatar and can register a name (displayed on the left-side of the screen). Select "Start Game" once all participants are visible on the presenter screen. 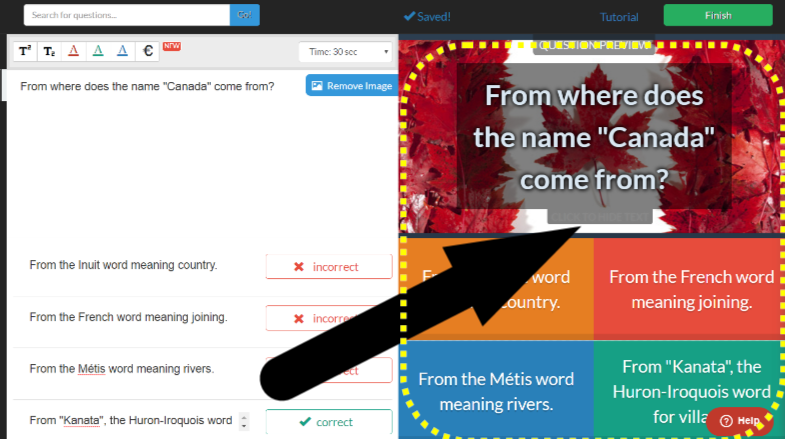 At the end of the quiz, the host has the option review the questions, export results or play it again.